Any marketer worth their salt knows that there is power in effectively presenting and displaying information. 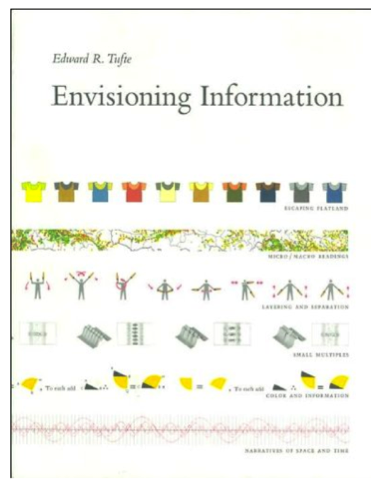 And many probably have a (now dusting) copy of the seminal information display bible, Tufte’s Visual Display of Quantitative Information, and his easier to read followup, Envisioning Information. 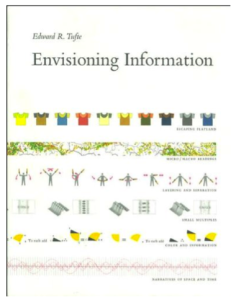 I’ve been a huge fan of Tufte, but his books are expensive and he’s gone the route of selling courses to best capitalize on his success. Ironic that a leader in print design feels the need to present in person instead! Lesson 1: Trust is a key design issue. If you do not design your views properly, they will likely not be trusted by the savvy people who are looking at them. Lesson 2: Make sure that your visuals are Expressive and that they convey the data accurately. Avoid unnecessary material and clutter. Mind your aesthetics and know that what is effective is often affective. In other words, an effective view can create an emotional response and a genuine communication to your audience. Style is also important. Make sure that your views are consistent and pleasing to the eye. Your views are representative of who you are and what you care about. Views can be playful. Interactive views that people can play with are very engaging. Interactive elements allow your audience to manipulate the data, ask and answer questions, and arrive at findings on their own. This helps to foster Trust in your data. Make your views vivid and memorable. The irony here being, I don’t think I necessarily presented those tips in the most compelling fashion, but the white paper above does a better job.